The Darlington Comedy Festival has revealed the lineup for its fifth outing next month. The annual North East comedy festival will again welcome a diverse range of comedy acts between the 2nd – 27th of July, from acclaimed TV comics through to local up-and-coming talent. Programmed and sponsored by Hilarity Bites, the festival has boasted top comedy names including Sarah Millican, Chris Ramsey, Jason Cook and Jimmy Cricket over the past five years. The 2016 edition is set to continue its impressive programming history with performances from comedy stars such as TV’s favourite surrealist Tony Law, the circuit’s most popular character comic Tom Binns, Teesside’s own Patrick Monahan and Edinburgh Comedy Award nominee Seymour Mace. The festival’s lineup features a headline show from a top TV comic, eight double-header shows starring fifteen comedy performers, a Hilarity Bites club night, two free shows, a comedy chat show, a kid’s comedy club and a new act competition. This year’s festival will also see shows taking place in an eclectic variety of popular venues across the town, including Darlington Library, Forum Music Centre, Seen and Inside Out, Red Lion, Old English Gentleman, The Keys and Hole In The Wall. The month-long Darlington Comedy Festival kicks off on Saturday 2nd July with Hilarity Bites Comedy Club, featuring performances from Scottish Comedian of the Year winner Mark Nelson, Vince Atta and host Freddy Quinne. Monday 4th July, The Not So Late Show – the finest (and only) comedy chat show in Leeds – comes to Seen and Inside Out, with special guests, sketches, music, video and a whole host of inspired nonsense. Seen and Inside Out will also play host to Edinburgh Comedy Award Nominee 2015, Newcastle’s Seymour Mace, on Wednesday 6th July. Joining Mace will be Irish stand-up Andrew Ryan, who, following a sellout run at last year’s Fringe, returns to Darlington with his new show, Ruined. 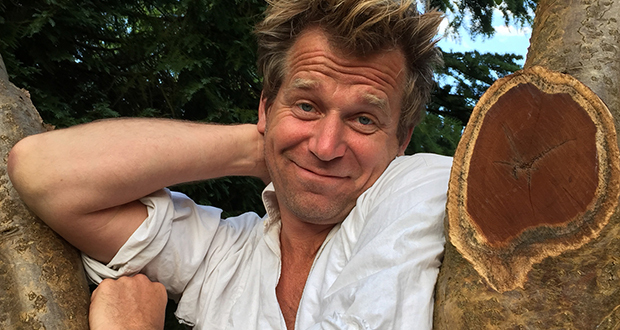 TV comedian Tony Law – a regular staple on the likes of Have I Got News For You, Never Mind The Buzzcocks, 8 Out Of 10 Cats, Celebrity Squares and The Alternative Comedy Experience – will perform at Seen and Inside Out on Wednesday 13th July. Organisers have aimed to keep this year’s ticket prices low and shows accessible, with entry to many shows starting from £3. There are also two free shows featuring preview shows from four comics. On Tuesday 12th July Brennan Reece will perform his new show Everglow at Old English Gentleman, alongside David Stanier. English Comedian of the Year Brennan has appeared on BBC, ITV, E4 and recently supported Joe Lycett on tour – while former Hilarity Bites New Act of the Year Stanier invites you to enjoy jokes, party games and all manner of untold silliness at his Silly Party. Another of the festival’s free shows features two members of multi-award-winning sketch group, Gein’s Family Giftshop. Kiri Pritchard-McLean and James Meehan will each preview their debut solo shows at The Red Lion on Tuesday 19th July. As seen on Russell Howard’s Stand Up Central, Leicester Mercury finalist Kiri Pritchard-McLean presents her ambitious show, Hysterical Woman, in which the sharp-tongued comic looks at race, genetics and gender. Fosters and Chortle award-winning comedian James Meehan then tackles classism, standing up for yourself and the realities of being a working class man in a middle class industry in his new show, Class Act. Taking place at Darlington Library on Saturday 23rd July at 2pm, Hilarity Bites Kids’ Comedy Club will see top comics Mike Milligan and Nicola Mantalios-Lovett and MC Lee Kyle perform a special show (without the swears) suitable for kids aged six and upwards. Rounding off the festival on Monday 25th July at Hole in the Wall is the North East’s biggest and longest-running comedy contest, the Hilarity Bites New Act Competition. The final will feature the four heat winners and the best runners-up from June’s heats, with host Andy Fury joined by 2015 winner Rob Mulholland, who will perform a headline set. Three judges, with the help of the audience, will then decide who gets to add their name to the roll of honour. The festival’s final show takes place two days later with a must-see performance from character comic extraordinaire Tom Binns and his creation Ian D. Montfort at Seen and Inside Out. Festival organiser Neil Jollie said: “This is the fifth year we’ve run the festival and we’ve always gotten a great response from comedy fans across Teesside and County Durham; we’re sure this year they’re going to love what we’ve got lined up for them. “We have a few returning comics on the bill this year; everyone who plays the festival is always keen to come back, as we’ve always had really warm, really enthusiastic audiences. Tickets and full listings are available now from darlingtoncomedyfestival.co.uk. Tickets for shows at The Forum Music Centre, Darlington Library, Hole in the Wall, and The Keys are also available to buy from respective venues.